In its Weekly Report On Israeli Human Rights Violations in the Occupied Palestinian Territories for the week of 06 – 12 April 2017, Israeli forces continued systematic crimes in the occupied Palestinian territories. A Palestinian young man from al-Jalazoun refugee camp succumbed to his wounds. 71 civilians, including 11 children, were abducted; 33 of whom, including 5 children, were in Jerusalem. In the West Bank, on 10 April 2017, medical sources at Assuta Medical Center in Tel Aviv pronounced Jasem Nakhleh, 18, from al-Jalazoun refugee camp, north of Ramallah, dead due to wounds he sustained earlier. The aforementioned person was wounded on 23 March 2017, when Israeli soldiers stationed in a watchtower around “Beit Eil” settlement, north of Ramallah, opened fire at a civilian car with 5 passengers inside, including 3 children. As a result, Mohammed Khattab (17) died immediately while the 4 others, including Nakhleh, were wounded then. Nakhleh was taken to Palestine Medical Center in Ramallah, but on 27 March 2017, he was transferred to Assuta Medical Center in Tel Aviv, where he remained until he passed away. 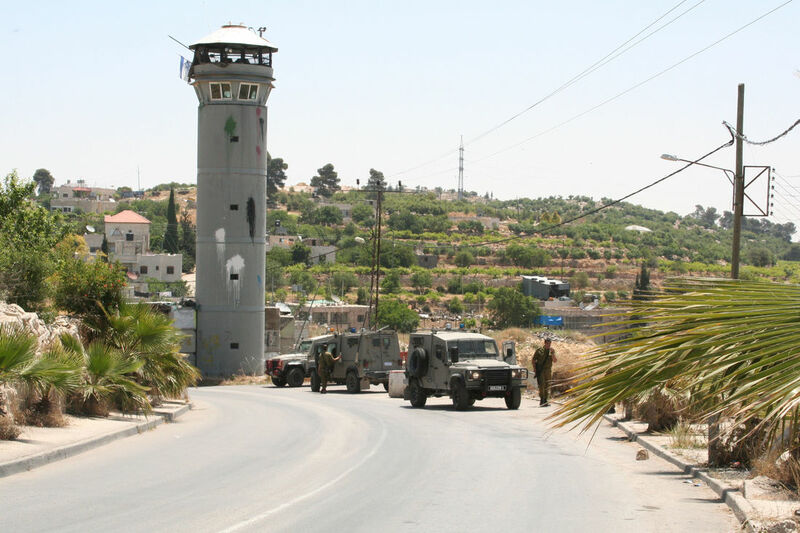 According to PCHR’s investigations, at approximately 20:00 on Thursday, 23 March 2017, the Israeli soldiers stationed in the watchtowers established on the western outskirts of “Beit Eil” settlement, north of Ramallah, adjacent to al-Jalazoun refugee camp from the eastern side. They opened fire at a civilian car travelled by 5 Palestinians, including 3 children; five of them were from the abovementioned camp. As a result, Mohamemd Hattab (17) sustained 2 live bullet wounds to the chest and shoulder while the 4 others were wounded, including Jasem who sustained 2 live bullet wounds to the head and right thigh. The wounded child was taken to Palestine Medical Complex in Ramallah as his condition was classified as serious. On 27 March 2017, Jasem was transferred to “Assuta” Hospital in Tel Aviv. The medical sources said he was clinically dead until his death was announced. During the reporting period, Israeli forces conducted at least 49 military incursions into Palestinian communities in the West Bank and 10 others in occupied Jerusalem and its suburbs. During these incursions, Israeli forces abducted at least 71 Palestinian civilians, including 11 children. 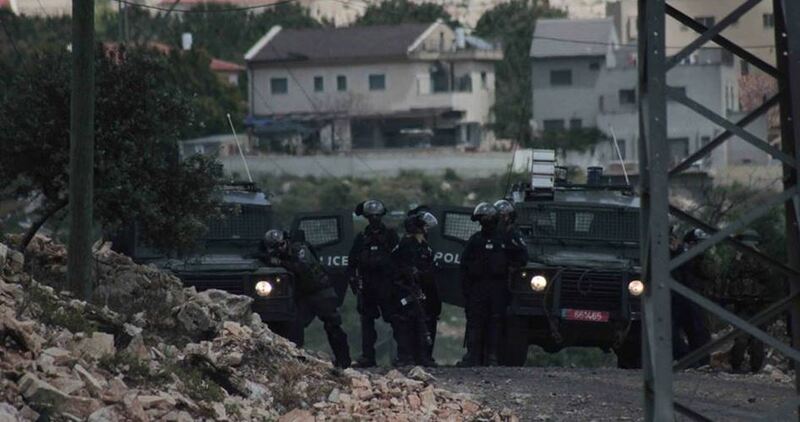 Thirty-three of them, including 5 children, were abducted in occupied Jerusalem. Among the abducted were Ahmed Atwan (52), PLC member representing the Change and Reform Bloc of Hamas movement, and Fayez Abu Warda, Hamas spokesperson in Ramallah and al-Bireh. During the incursions, Israeli forces confiscated NIS 5,000 belonging to Sa’ed Hamad (32) and damaged and confiscated 10 civilian cars in Silwad village, northeast of Ramallah. In addition, they withdrew work permits from dozens of Palestinian young men that used to allow them to work in Israel. In Hebron, Israeli forces confiscated equipment from a metal workshop belonging to Ra’fat al-Sharabati. The confiscated equipment is estimated at NIS 200,000. In the Gaza Strip, in the context of targeting the border areas, on 07 April 2017, Israeli forces stationed at the border fence between the Gaza Strip and Israel, east of Gaza valley, opened fire at farmers and shepherds, but no casualties were reported. For 9 consecutive years, Israel has tightened the land and naval closure to isolate the Gaza Strip from the West Bank, including occupied Jerusalem, and other countries around the world. This resulted in grave violations of the economic, social and cultural rights and a deterioration of living conditions for 2 million people. The Israeli authorities have established Karm Abu Salem (Kerem Shaloum) as the sole crossing for imports and exports in order to exercise its control over the Gaza Strip’s economy. They also aim at imposing a complete ban on the Gaza Strip’s exports. The Israeli closure raised the rate of poverty to 65%. Moreover, the rate of unemployment increased up to 47% and youth constitutes 65% of the unemployed persons. Moreover, 80% of the Gaza Strip population depends on international aid to secure their minimum daily needs. These rates indicate the unprecedented economic deterioration in the Gaza Strip. The Israeli authorities decided to close the Gaza Strip border crossings from Sunday, 09 April 2017, to Monday, 17 April 2017, due to the Jewish Passover. Israeli sources added that only humanitarian cases and doctors would be allowed to travel. At approximately 11:00 on Wednesday, 12 April 2017, a group of Israeli settlers moved into al-Birkah village, west of Yatta, south of Hebron, under the Israeli forces protection. The Israeli forces established checkpoints and prevented Palestinian civilians from passing. In addition, the Israeli settlers were performing their religious rituals in al-Birkah village’s park. At approximately 10:00, the Israeli forces closed Beir al-Sabi’ street in the center of Hebron and forced Palestinian civilians to close their shops. Dozens of the Israeli settlers came to an archaeological site called “Etena’el Tomb”, where they performed their religious rituals on the occasion of the (Passover) Jewish. On Wednesday, a group of Israeli settlers moved into Sabastiyia village, northwest of Nablus, under the Israeli forces protection. The Israeli forces established checkpoints and prevented Palestinian civilians from passing. In addition, the Israeli settlers performed their religious rituals on the occasion of the Jewish Passover holiday. Following the Friday prayer on 07 April 2017, dozens of Palestinian civilians and Israeli and international human rights defenders organized demonstrations in Bil’in and Nil’in villages, west of Ramallah, and in Nabi Saleh village, northwest of the city, protesting against the annexation wall and settlement activities. Israeli forces forcibly dispersed the protestors, firing live and metal bullets, tear gas canisters and sound bombs. They also chased the protesters into olive fields and between houses. As a result, many of the protesters suffered tear gas inhalation while others sustained bruises due to being beaten up by the Israeli soldiers. At approximately 13:30 on Monday, 10 April 2017, a number of young men gathered near the entrance to “Psagot” settlement established on the eastern outskirts in al-Birah. They threw stones and empty bottles near the abovementioned settlement’s fence. The Israeli soldiers fired sound bombs, tear gas canisters and rubber-coated metal bullets at the young men in response, but no casualties were reported. Due to the number and severity of Israeli human rights violations this week, the PCHR made several recommendations to the international community. Among these were a recommendation that the international community speed up the reconstruction process necessary because of the destruction inflicted by the Israeli offensive on Gaza. In addition, the PCHR calls for a prompt intervention to compel the Israeli authorities to lift the closure that obstructs the freedom of movement of goods and 1.8 million civilians that experience unprecedented economic, social, political and cultural hardships due to collective punishment policies and retaliatory action against civilians. 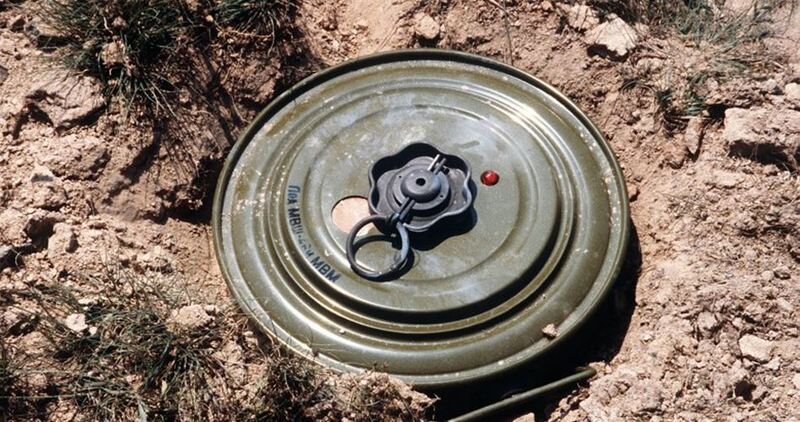 Landmines is one of the common means of killing which spread in various conflict zones in the world, including Palestine, which is still suffering from mines in various areas, despite the removal of large numbers of them. According to the statistics of The Palestinian Mine Action Center in 2017, mines have killed 300 Palestinians and left nearly 26,000 others handicapped. Statistics also suggest the existence of a million and a half mines scattered in 166 fields, all the way from Jenin to Hebron, especially in the border areas. Ahmad Masaid, a resident of the Jordan Valley, says the Valley has the largest number of mines in Palestine, as well as ordnances left by the Israeli occupation forces, which also claimed the lives of many Palestinians. He added, “The Israeli occupation exerted all possible means to control the Palestinian side of the Jordan Valley, including planting hundreds of agricultural acres with mines. He pointed out that the danger lies in the fact that there are many minefields in the occupied Jordan Valley, without having clear information about the whereabouts of these mines, in terms of numbers and places, and even without having a fence or warning signs, which indicate the locations of these mines. The Israeli occupation army had randomly planted these mines. Palestinian farmers are denied access into their agricultural lands after they were declared closed military zones, Masaid said. Engineer Mazen Awad, who supervises some development projects in the West Bank, told the PIC reporter that in addition to the fact that mines cause loss of life, especially for Palestinian shepherds and farmers, they also hinder development in Palestine. A UN report said that Israel killed four Palestinians, wounded 124 others, and demolished and seized 18 homes and structures between March 21 and April 3. The report, which was released on Friday by the UN Office for the Coordination of Humanitarian Affairs (OCHA), said that one woman aged 49 and three teenagers were killed during the reporting period. One of those teenagers was a 16-year-old boy who was killed during an Israeli artillery attack on Rafah area in Gaza. Since the beginning of the current year, 12 Palestinians had been killed by Israeli occupation forces, the report noted. Overall, 124 Palestinians, 14 of them children, were injured by Israeli forces in multiple clashes in the West Bank, according to the report. Most of the injuries occurred during clashes in the context of demonstrations commemorating the 41st anniversary of the Land Day. Other clashes were reported over the course of Israeli search and arrest campaigns, at a funeral of the boy killed in al-Jalazoun refugee camp, and during clashes in various locations of Jerusalem and Ramallah provinces. In the West Bank, the Israeli occupation authorities demolished or seized 18 Palestinian-owned structures on grounds of lack of building permits, displacing 22 Palestinians and affecting the livelihoods of over 90. Five of these structures were in east Jerusalem and the remaining 13 structures were in five communities in Area C in the West Bank. Furthermore, in the Jabal Mukaber area of east Jerusalem, the family home of the perpetrator of an attack in January 2017, which killed four Israeli soldiers, was punitively sealed displacing a woman and her four children. The report also elaborated that the Israeli authorities declared various non-contiguous plots of land in the Nablus governorate, amounting to nearly 1,000 dunums, as “state land”, for the establishment of a new Israeli settlement, and retroactively legalized three existing settlement outposts. According to an Israeli cabinet decision, the new settlement will be used for the relocation of settlers recently evacuated from the illegal Amona settlement outpost. This settlement construction would impact the access to land by farmers from four adjacent villages, which are Sinjil, Qaryut, as-Sawiya and al-Lubban ash-Sharqiya, and would further undermine their agricultural livelihoods. In four separate incidents during the same period, the report said, armed Jewish settlers attacked or threatened Palestinian farmers and forced them out of their land in the vicinity of illegal settlements in the West Bank. In one of these incidents, a Palestinian farmer was physically assaulted and injured near Beit Furik village (Nablus). The other three incidents involved threats and intimidation of farmers who accessed their land in Nablus and Qalqiliya, following prior coordination or authorization by the Israeli authorities. Moreover, three Palestinian-plated vehicles were damaged by settlers in stone-throwing incidents.